Life is tough for families coping with disabilities in Kenya. Working with the local church, Sports Friends Kenya believes it can make a long-term transformation in their lives. Words, pictures and video by Tim Coleman. Ten-year-old Mary is home alone and locked in the house. Her father abandoned the family a long time ago, her mother is at work, while her grandmother is out. Mary has cerebral palsy and cannot speak. Jane sits on the dirt floor outside. There is no sign of her parents, though her older sister is around. At nineteen years old, Jane has never ventured beyond the front entrance of the family’s compound. She has downs syndrome. Grace calls out to her family as they go about their business. She is a lively seventeen-year-old, who physically is the same size as a five year old. She cannot walk, though she can shuffle along the ground. Grace has cerebral palsy. Any family with a child like Mary, Jane or Grace would find it hard to best support them. These girls are wholly reliant on care. In this part of rural Kenya, their challenge is compounded. Each of these families live in relative poverty. Acquiring medication and the kit that could improve the quality of life for their child is often beyond their means. But there is something further going on here. 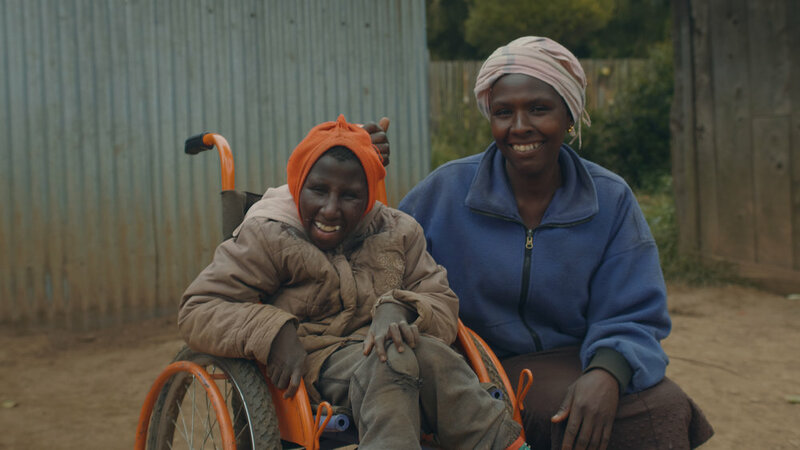 Stigma around disability in this part of Kenya is widespread. Have a disabled child? You are cursed. You are being punished for your sins, or the sins of your fathers. There is guilt and shame for parents of children with disabilities. 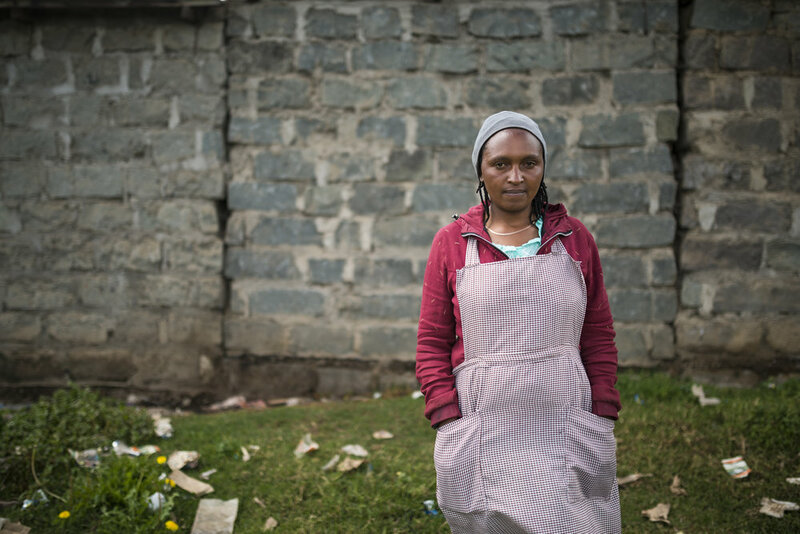 These families are the ones that need the help of their community the most, yet often find themselves ostracised. This should not be so. Many such families have no other choice but to hide their children in the dark backrooms of their homes, keeping this secret even from their church community. These secrets can be kept for the lifetime of a child. Practical challenges. Cultural prejudice. It’s hard to imagine the daily difficulty in providing for a disabled child and including them in a life beyond their four walls. To visit the homes of Mary, Jane and Grace is a hard pill to swallow. These families are easy to reach geographically, yet often remain totally unreached, struggling alone, burdened by the guilt and shame of disability. These families have broken the heart of Sports Friends Kenya. This is not where the story ends. Sports Friends Kenya is working with the local church to support these families and to engage these least reached youth through activities that interest them. Jesus leads Sports Friends to minister to the whole person, because that’s what He did; both spiritually and physically. 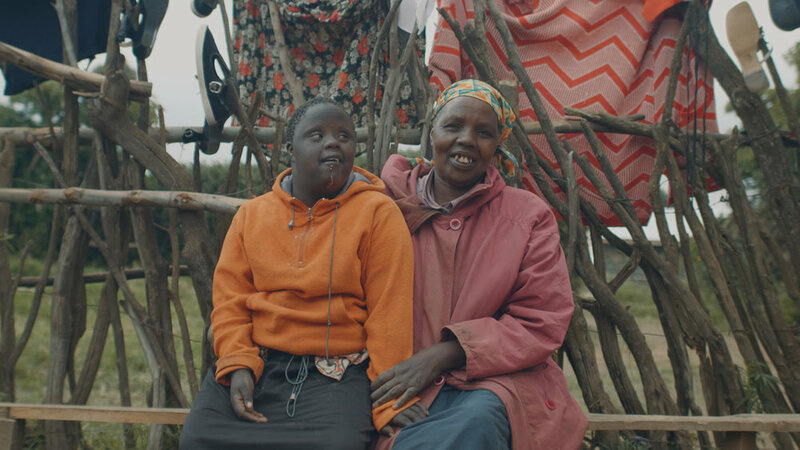 In rural Kenya, it means looking into the eyes of each individual and seeing them as made in the image of God, not just as children with physical disabilities. As we come alongside them in all their hurt, shame and stigma, the doors are opened to bringing the ultimate hope found in a relationship with Jesus Christ. Grace is swaddled to her mother’s back as they leave their home and board the bus. She is her usual chipper self. Jane is encouraged by her sister to step beyond the home compound for the very first time. Unsure, she is placed on the motorbike that takes her up the dirt road to the bus. This is one of many firsts for the nineteen-year-old. Mary’s mother and grandmother take it in turns to carry her from their home up to the same bus, as she is too heavy to carry for long periods. Grace, Mary and Jane are joined by eighteen other children with disabilities on the bus. Each child is with their parent and they are all setting off for the trip of a lifetime. Since 2017, Sports Friends Kenya has been walking alongside unreached families that struggle with disabilities in Kenya. Recently, Joseph, the Kenya programme coordinator, identified a number of families with disabilities from the same area and invited them to camp 2018. This long weekend away marks the real starting point of the relationship between Sports Friends, the families and their local church. There is a sense of uncertainty among the families as the bus makes its way to camp. What are they to expect over the coming days? On arrival, as the families exit the bus each in turn, they are greeted with enthusiastic dancing and rapturous singing by whole team of coaches and helpers. Within a moment the contrast between home life and what is in store at the camp could not be starker. Silence, solitude and stillness are obliterated in a celebration chorus. These families will truly be loved upon. Each child is announced to a loud cheer and then paired with two Sports Friends coaches who are with them all the waking hours for three days. Games, activities, arts and crafts, love and affection, beautiful gardens, comfortable beds, three square meals a day. This is quite the experience for child and for coach. “The time I had with my camper Roy I will never forget. His legs are very weak and I loved seeing his smile as I helped him play football and did arts and crafts with him. I believe I was Jesus’ hands and feet and I encourage anyone to come and serve with us.”, says volunteer coach Meshach from a local church. Elizabeth says that people do not want to associate with her family because of Grace. Her own parents - Grace’s grandparents - encouraged Elizabeth to kill Grace because of the burden she put on the family. Lucy believes that Mary’s disability is a result of a curse. Margaret says that her neighbours don’t even want to look at Jane. Each mother faces a tough situation - usually without the father - and the toll on them is plain to see. So, the camp is not just tailored for the children with disabilities, but their parents too. While the children remain with their coaches, the parents (mostly mothers) are freed up to take part in the trauma healing programme, led by trained Sports Friends coaches. During the sessions, the falsehoods that the community and culture has told them about their child and themselves are addressed. Parents share their reasoning as to why their child is this way. The story is similar throughout. We are cursed. It’s a consequence of sin. It’s a consequence of the sins of our fathers. These are broken people, trying their best to keep it together. Truth from God’s word is spoken into the place where lies about disability have been believed. We are all made in the image of God, disabled or not. You are not cursed, you are blessed. You are loved. Heart wounds are identified. Parents share their struggles with each other. They are letting go of the lies and by the power of the Holy Spirit they are accepting God’s truth. Truly, healing is taking place. As the days of camp go by, the children and parents are being transformed by simple acts of love. And as they are loved, they too find strength to love. Where rejection spawns rejection, love encourages love. There is a growing intimacy between many of the parents and their children. On the final night of camp, each child and parent have their feet washed by the coaches, just as Jesus washed the disciples’ feet. Outcasts of society are being served. The power in this moment is palpable and too much to contain for some, who weep more tears of healing. Biblical truth has taken root in the parents and they are free from the lies. The journey ahead will be tough, but healing has taken place. Parents return home with renewed energy, hope and a new friendship network. Isolation is one of the great difficulties facing these families. After camp, they are not left alone. There are fellow co-suffering parents from camp that all live in the same area, who can empathise with one another's daily struggles. In addition to a new support network, Joseph of Sports Friends Kenya organises monthly follow up visits with the families and their local church. What we have heard and seen during these visits has been encouraging. Parents share how greatly they appreciated their children being looked after so well at camp. They say how God’s truth has been etched on their hearts. They say how the knowledge there are others out there in the same or even worse a situation gives them hope. This is just the beginning. The trauma healing course will be completed by the parents over a course of months. The local church has begun to reach out to the families and has offered its building to host the course. The families appear to be connecting with their community more. It’s a start to what we pray is a wonderful new chapter for these families. Sports Friends, a ministry of SIM, seeks to make disciples of Jesus Christ in communities where He is least known, using the powerful platform of sport. At its core, Sports Friends is a training and equipping ministry - training thousands of coaches from the local church to run sports ministry teams in their communities. These coaches are being the hands and feet of Jesus to more than 240,000 youth on a weekly basis, in Africa, Asia and the Americas. Why do we do this? We do it because we are compelled by our own experiences of God’s extravagant love for us.